Tarrant County Public Health (TCPH) has confirmed a Tarrant County resident has tested positive for Measles after returning home from India. The Centers for Disease Control and Prevention (CDC) is determining the number of exposed passengers on the international flight. TCPH is investigating who might have been exposed in Tarrant County. So far, the investigation has revealed a limited exposure to area residents. Measles is an airborne disease and is highly contagious. Measles can easily spread through breathing, coughing, sneezing or coming in close contact with an infected person. If you or anyone you know develops symptoms of this disease, please contact your health care provider immediately. 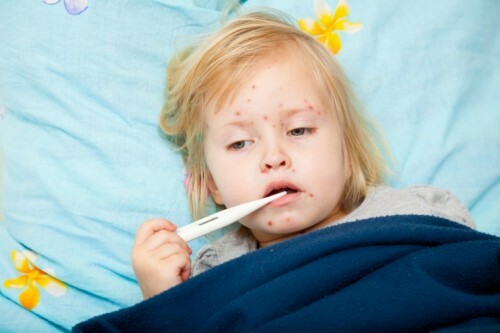 Measles begins as a mild infection with fever, congestion, cough and some oral lesions. It then worsens to a severe respiratory infection, with very red eyes, lots of coughing and a rash all over the body with red, slightly raised, round spots. Measles can have complications such as pneumonia, dehydration and in rare occasions swelling of the brain (encephalitis). Measles is especially dangerous for people with weak immune systems. The TCPH and Donald Murphey, M.D., medical director of Infectious Disease at Cook Children’s, reminds people that measles is a vaccine-preventable disease. Adults who have received a measles vaccine series are considered immune. Those who have not been immunized against measles, or have never had measles, should contact their health care provider to get vaccinated. You can find more information about Measles by clicking HERE.